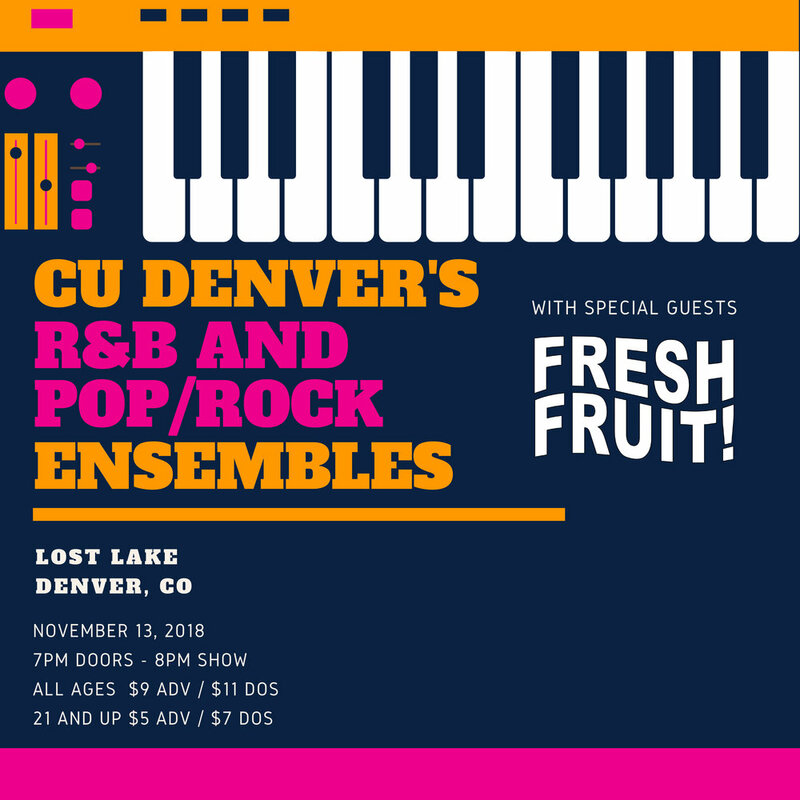 Lost Lake Lounge w/CU Denver Ensembles — Fresh Fruit! We are excited to be supporting the CU Denver R&B and Pop/Rock Ensembles at Lost Lake on Tuesday, November 13th. CLICK HERE to grab tickets while they’re only $5! Doors are at 7:00 PM. See you there!